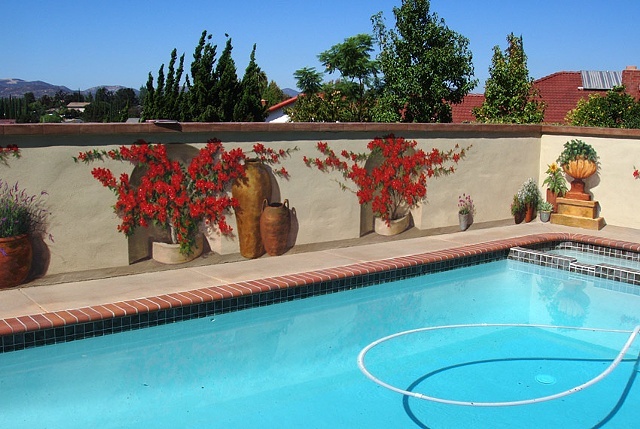 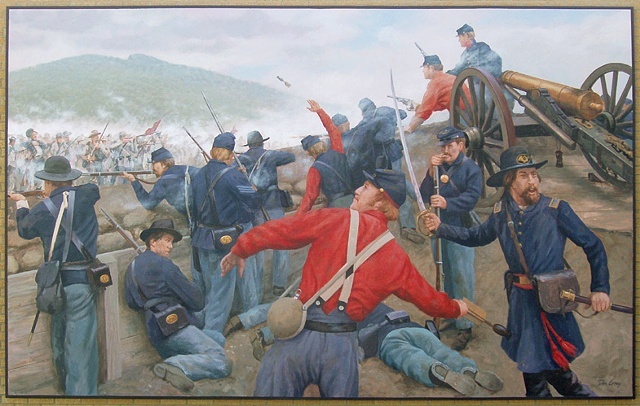 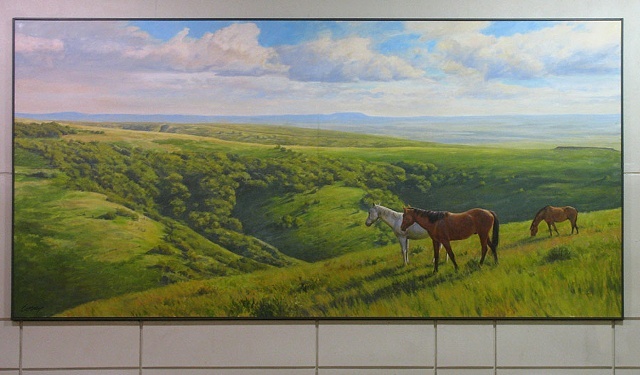 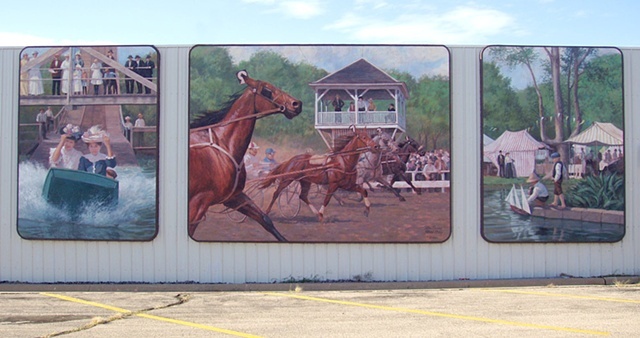 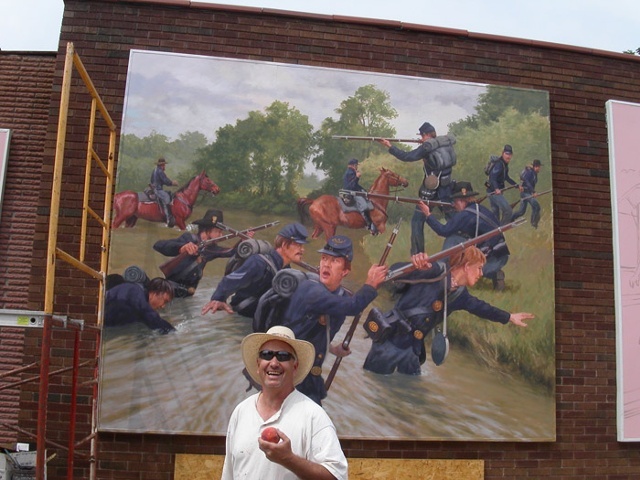 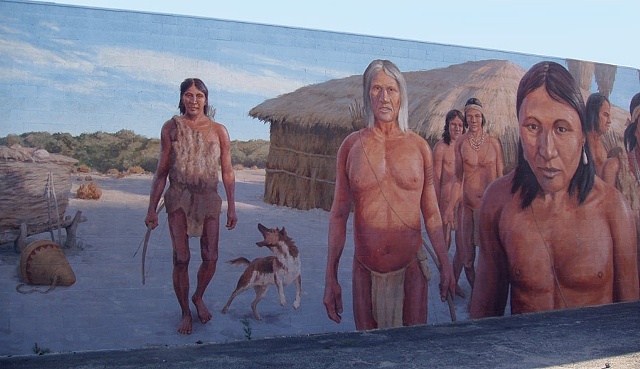 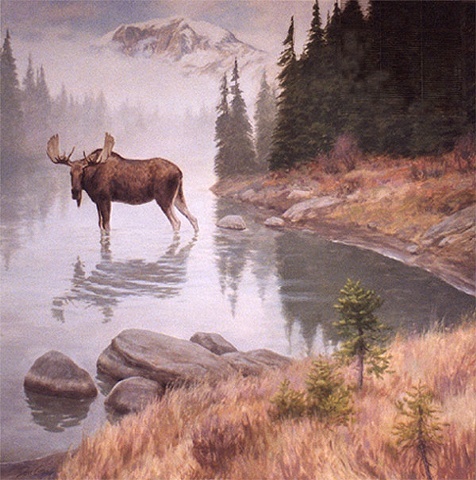 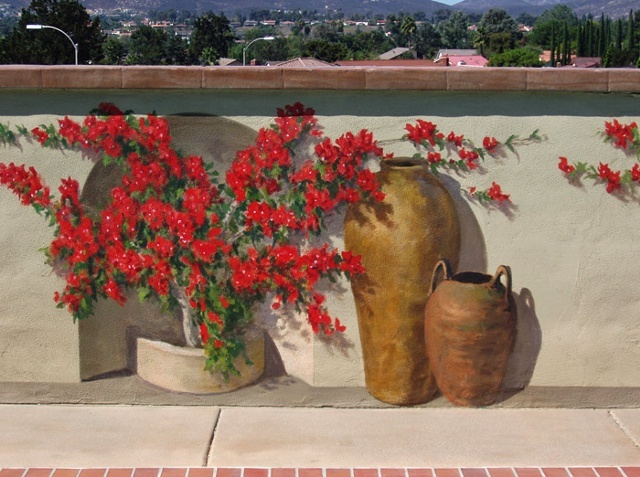 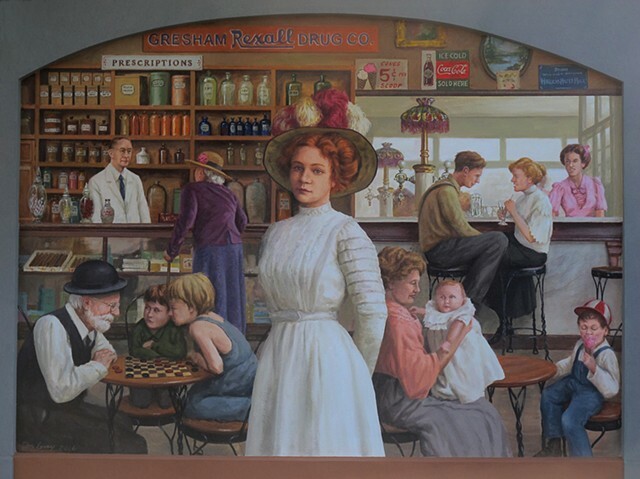 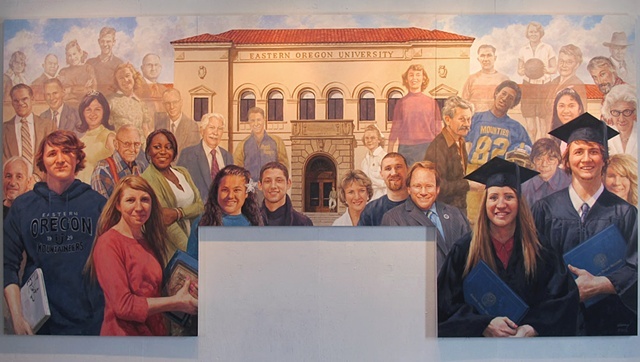 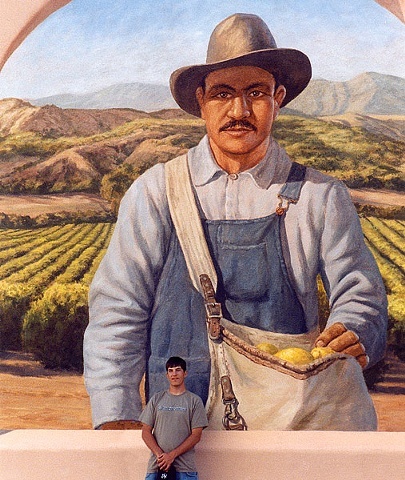 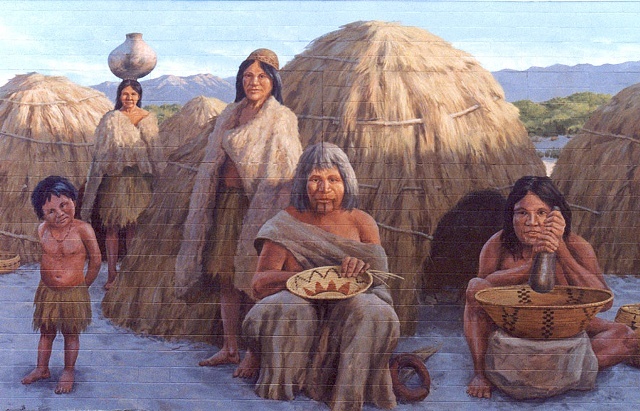 I've painted numerous murals in communites across the United States and Canada, Many of these are large exterior paintings that deal with regional history or events, created at the behest of community mural societies. 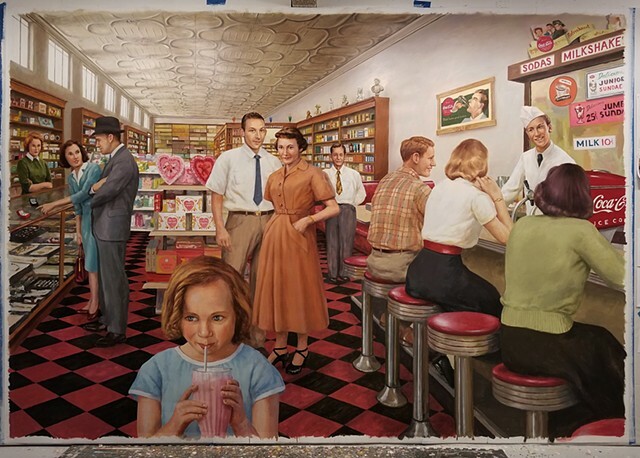 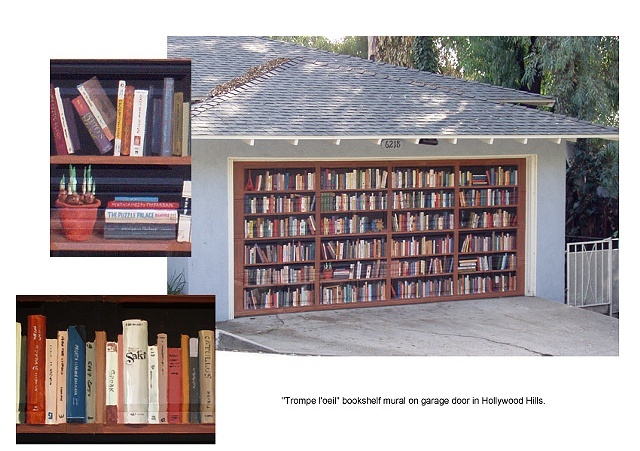 Preparation for these projects nearly always takes much more time than painting the mural itself. 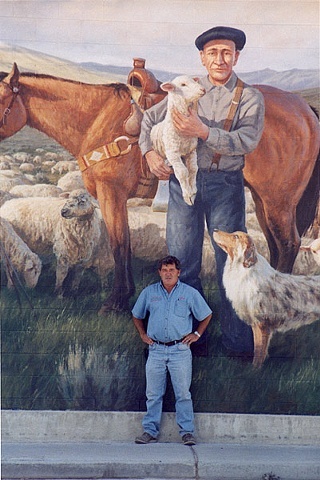 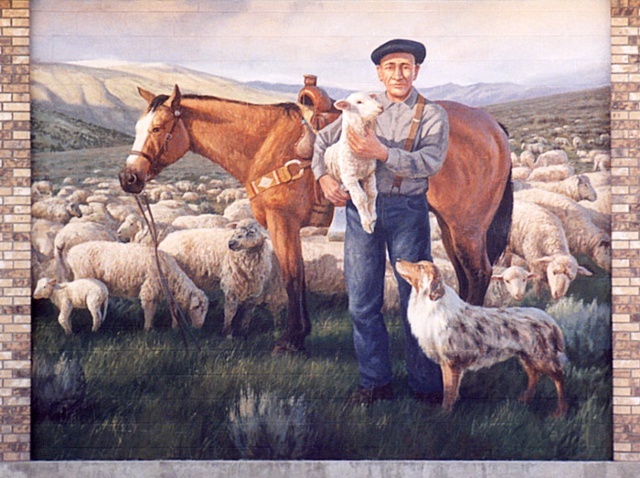 Joe in front of "Basque Shepherd"